Dry needling is an effective and efficient technique for the treatment of muscular pain and myofascial dysfunction. Dry needling or intramuscular stimulation is a technique developed by Dr. Chan Gunn and is extremely effective for relaxing overactive muscles. Dry needling is a treatment technique whereby a sterile, single-use, fine filament needle (acupuncture needle) is inserted into the muscle to assist with decreasing pain and improving function through the release of myofascial trigger points (knots in the muscle). A myofascial trigger point is defined as a “hyperirritable spot in a skeletal muscle.” The spot is painful on compression and can be at fault for referred pain, tenderness, motor dysfunction and autonomic phenomena. Myofascial trigger points are commonly seen in both acute and chronic pain conditions. Dry needling of the ‘shortened’ muscle band causes an immediate palpable relaxation. Generally, as the needle is inserted into the muscle, it will twitch (contract) and will then relax.A sense of release and increased range of motion is often experienced by the patient. When used in conjunction with motor control retraining through therapeutic exercises and postural and movement behavior retraining, the release obtained from dry needling can be long-lasting. Evidence shows that when a needle is inserted, the area around the needle becomes stimulated to release cytokines and trigger the release of natural opioids (Beta-endorphin and Enkephalins). This is our own natural pain-relieving medication. By increasing the number of released cytokines, we naturally release our own perceived pain. Not only does research show that dry needling improves pain, it also reduces muscle tension, restores normal biochemical and electrical function within the muscle and facilitates an accelerated return to rehabilitation exercise. So, you can see the effects of dry needling go far beyond just fixing tight sore muscles. Dry needling will enable a faster return to strengthening and exercise resulting in improved function and performance. Is Dry Needling right for you? Can you relate to any of these 4 points? Living day to day on Pain Medications. Pain is a good thing, although it does not always feel pleasant. Let me explain. Pain is the bodies way of saying that “something is wrong”. As we explained trigger points are not normal and need to be fixed. Needling can help control the pain and fix the problem (the trigger points). Pain medication only masks the problem and in the long term makes it worse! Looking for pain relief with minimal side effects. The side effects of Dry Needling are very minimal and include achiness and general fatigue (much like working out or having a massage). The symptoms usually last between 24-48 hours and ice is suggested to help minimize soreness. Decreased range of motion and freedom. Often times trigger points (that painful muscle knot) can cause tightness and stiffness. 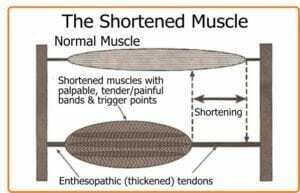 That can then lead to the muscle shortening in length (loss of flexibility). Dry needling along with a stretching program can help you increase your range of motion and flexibility once more helping you become free and get back to the things you were doing. Want to be active and live healthier life. It can be challenging to be active and live a healthy life while in pain. It seems paradoxical to get needles on a monthly or weekly basis (depending on the severity of your issues) to improve your quality of life. You could be pleasantly surprised however how quickly you are likely to notice positive changes. At Leduc Physio, we are very fortunate to have all of our physiotherapists certified in providing dry needling therapy. 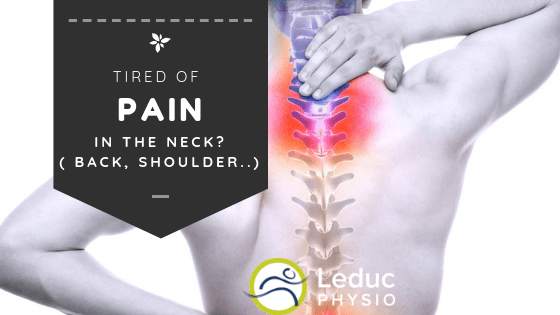 To learn more about whether dry needling is right for you or to book an appointment, visit our website at www.leducphysio.janeapp.com or call the clinic at (780) 980-5443 today! We would love to assist you!